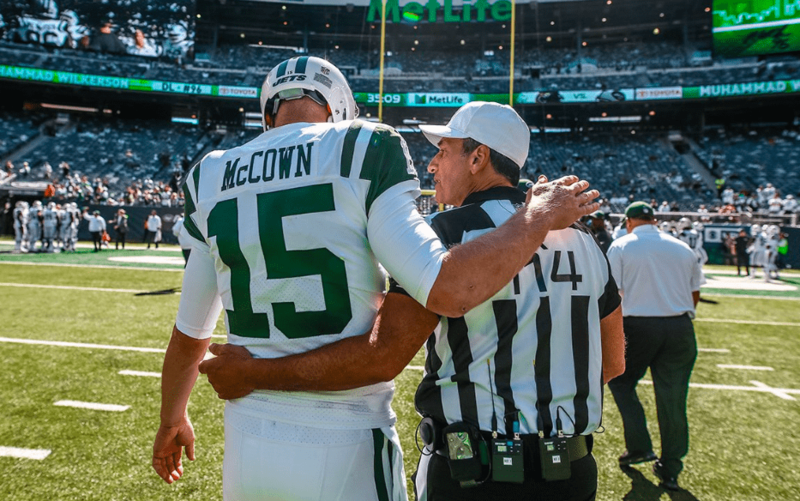 THE INCREASE: Josh McCown - What Are You Measured By? Often when we think of surrendering, we think of it in a very negative light. Surrender means to give up, to quit. But when Jesus said the words in Matthew 16, He understood that what the people were chasing in order to be connected with God was marks; they were trying to measure up and make a certain mark. Jesus understood they were trying so hard it was suffocating them. He was trying to tell them that if they just surrendered and followed Him, they would experience a peace beyond explanation. When you surrender, you’re giving up things that will suffocate you anyway. Christ is calling you into a life that in some respects might be different from what you think is going to satisfy you, but ultimately, it’s going to bring you peace. Some of the best moments in my life have been when I kept falling short of the mark I was trying to measure up to. It was a huge burden until I realized that’s not what I’m measured by. Because I follow Jesus, He measures me how He’s measured. He sees me as God sees Him: perfect. Knowing I don’t have to live up to a certain standard frees me to live life, and live it to the full. My life is not my own. And that’s a very freeing thing. I’m free because I’ve surrendered to Christ. All the worldly expectations and standards are gone because I’ve surrendered and chosen to follow Jesus. All the things that used to weigh me down, I no longer have to worry about. I can live freely knowing there will be good days and there will be bad days. There will be days when I fall miserably short of the standard God calls to me to. But He still loves me. Growing up going to church in the south, I had a moment as a young kid when I felt like I understood what was being explained to me, but it’s hard to really count the cost as a young kid. During my first few years in the league, I saw other men living out a life surrendered to Christ and finally I began to understand what it looked like to truly count the cost. That was a defining moment for me; that was when I really chose to follow Jesus. The foundation I had growing up and the things I believed to be true, I started to see in action, and soon I started seeing it in myself. Everyone’s default is to go back to some form of selfishness. We all want to be pleased with the outcome. I’ve always wanted to know that I’m going to be on this team for this amount of time so I can have my future set. Selfishly, I wanted to know everything was going to be OK. Looking over the course of my career and the way it has been so uncertain, I see how my circumstances have continued to put me in a space of faith all the time. I’m thankful for that. We all fight for security. Often when we think we’ve done the right thing, we think we deserve to feel secure. Our pride says, “I deserve ____” (you can fill in the blank). But when we surrender control over to Christ, we become free from expectation and pride. The “I deserve” mindset is replaced with gratitude and peace.